After studying various more elaborate alternatives for an addition to this church, which involved input from the congregation’s general assembly and the guidance of the building committee, the decision was made to build a modest addition. 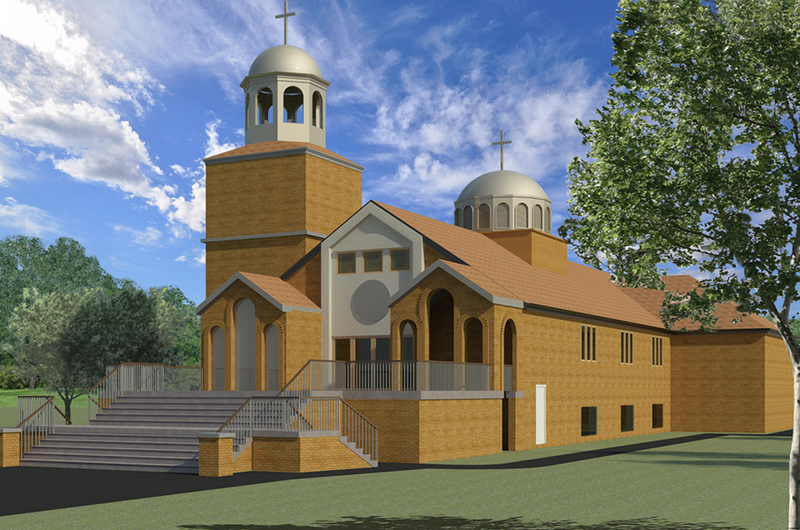 The proposed design alters the west (primary) entrance, and makes a few utilitarian additions including an outdoor lift, a bathroom on the main level, and storage space below to free up some of the church building’s existing space. This strategy reduces the building’s program to its most essential elements thereby saving on construction expenditures involved in some of the original schemes, and making the best use of the congregation’s resources.